On news stands now! 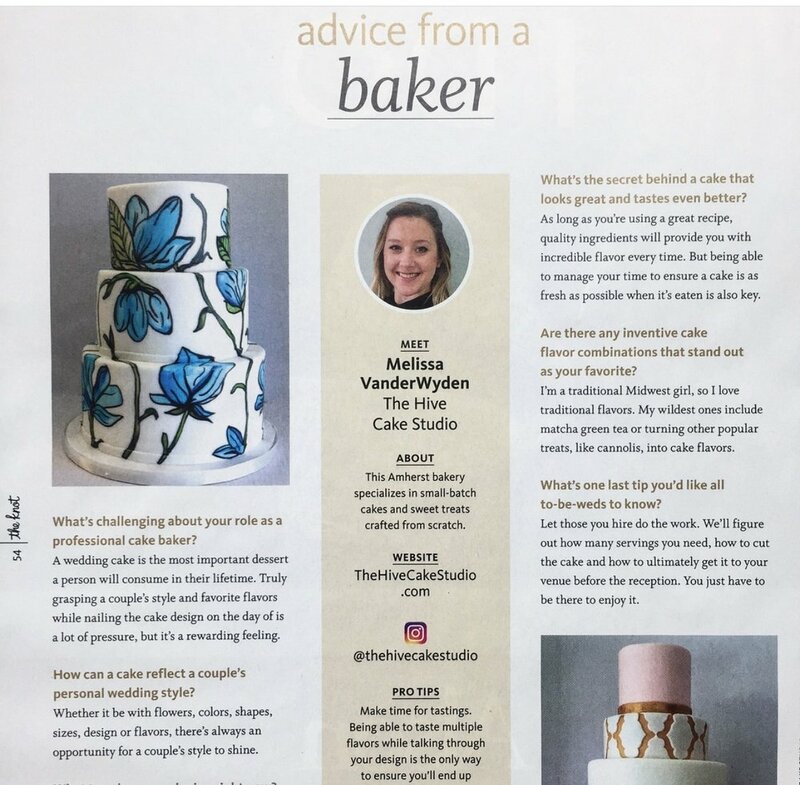 The Fall/Winter issue of the popular wedding magazine 'The Knot' has features The Hive Cake Studio! When we were asked to be a part of the "Expert Advice" column of the magazine, we were thrilled. We have been making custom wedding cakes for years, and it truly is one of our favorite things to offer at The Hive. Helping create the perfect cake for a bride and groom brings so much satisfaction, and we couldn't be happier to share our thoughts with The Knot. Pick up an issue today!